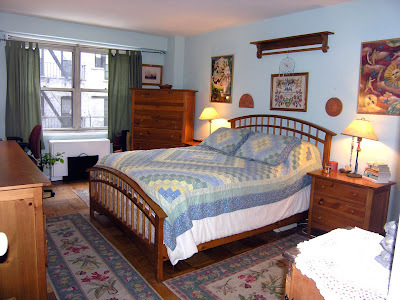 Looking for a great NYC apartment? 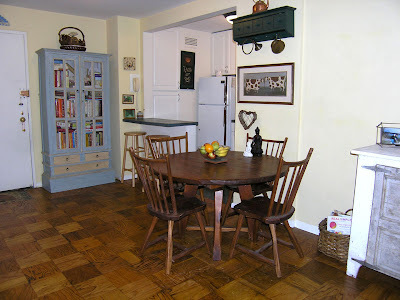 My friend Nancy has one of the great NYC apartments in the world and she's selling it. I've spent a lot of happy afternoons there when Nancy lived in the city. 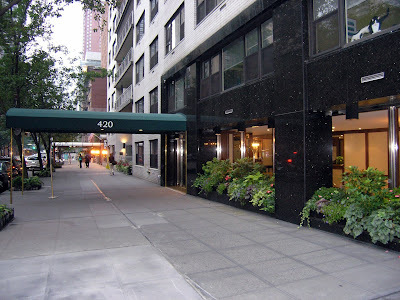 It's really huge and really sunny, in a great location (the upper east side in a doorman building), with the kind of natural light you see in the movies. tons of closets and it's really quiet, too, facing a garden in the back--plus it's in a luxury building. It's got great creative vibes (she's an artist and her husband is a photographer) and it is at a bargain price. 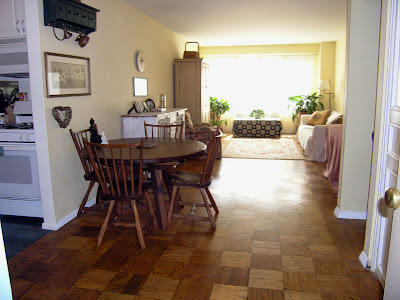 *30 ft living space with parquet floors, overlooks garden with quiet back exposure. 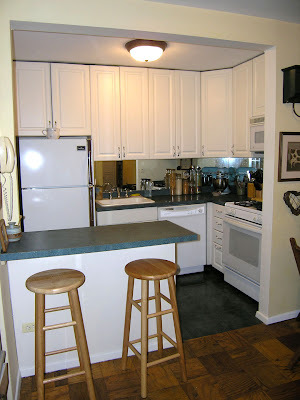 *5 closets, upgraded kitchen with tiled floor, breakfast bar, tiled pantry and new dishwasher. Call Nancy if you are interested or if you know someone who is, please pass this along. While anxiously waiting for my novel BREATHE to come out, I'm deep into the past researching and writing a brand new novel, which is set in the late 1950s in a suburb of Boston, where I grew up. 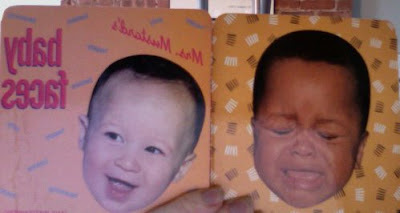 I found my old cache of hilariously awful old cookbooks (check out the photos. I think the dish with the franks in a star pattern is particularly attractive). 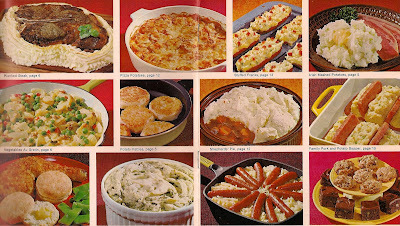 This particular cookbook advises you to boil veggies for 45 minutes so they will be "nice and tender" and encourages wives to "let hubby toss the salad." Because I got so nostalgic, I flash forwarded into the future and dug out my old high school yearbook, which bypasses the buttoned up fifties and is well into the hippie era. That's me, a portrait of the artist as a young hippie, in the ironed hair, black boots, love beads, wrist band and hippie dress, 4th from the left, in a Russian Club photo. 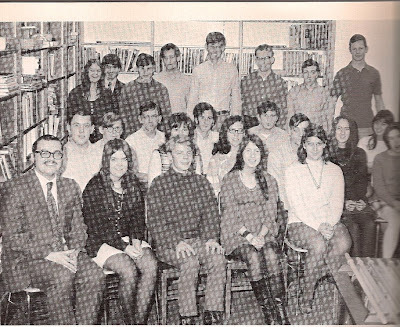 Of course, in my high school, there WAS no Russian club, and I am actually the only one in the photo beside the Russian teacher, Mr. Corcoran, with the dapper mustache, who took Russian class. Everyone else just showed up for a photo op and so they could put "Russian Club, President" on their college applications. It's funny, I look at this photo and I can feel the way I felt back then, overdramatic, desperately in love with the wrong boy and sneaking out to be with him every chance I could get, aching to be a writer, and lost in my own world. 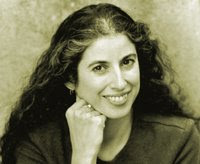 I used to be one of the writers for The Boston Globe's "A Reading Life" column, work I adored. When they pared down the column, they offered me the chance to write the bi-monthly Sunday Self Help column instead, and I jumped at the chance to do it, both to keep working for a place and people I loved, and because, frankly, I like the idea of Self Help. I don't think Self Help has to be all about "Ten Ways You Can Make Yourself Into A Hot Mama" and there are actually some fabulous, quirky, and very smart books out there and I like that it is my job to point out those sort of books to others. 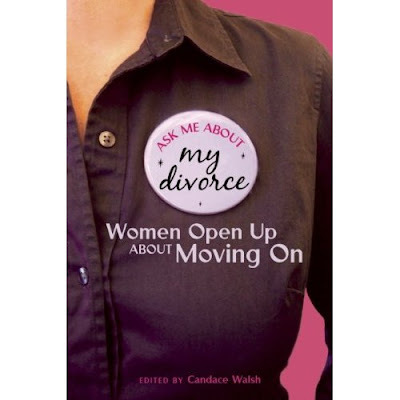 I became friends with Candace Walsh after I read Ask Me About My Divorce, which means I can't give it press in The Boston Globe or Dame Magazine, but I can, with full disclosure, write about her book here. As someone who also had a much better life after getting out of a bad marriage, and who has a wonderful second marriage after getting out of a disturbingly controlling relationship, I loved her take on the Great Split. Divorce can be liberating. Divorce is not always traumatic. Divorce can open up worlds. And as someone who writes about her life--including my own relationship splits--in essays and for anthologies, I was fascinated by the stories all these women told. The website will be up May 1st, and there's a great interview in Redbook here. Candace was great enough to let me ask her tons of annoying questions, too. Thank you Candace! What gave you the idea to do a book about divorce? I was chatting with a woman at a dinner party, and the topic of my divorce came up. Instead of launching into an entirely mournful and sympathetic response, she asked, neutrally, "How's that going?" "Great, actually," I said, surprised that that was the answer that surfaced when I wasn't in the midst of disentangling myself from another person's projection of how horrible divorce must be. "Awesome!" she said. "I got divorced, and I've never regretted it. My life has improved so much since then." "The whole idea of divorce needs a makeover." I riffed. "Divorce is rad--it's leveled my life in some ways, but there is so much fertile growth going on." It felt like accelerated time lapse photography of springtime coming on, lushly and ferociously. And we toasted to that. Unlike many "great ideas" that I've had at a dinner party two glasses of wine in, this one stuck with me. Within the month, I wrote the book proposal, printed it out, and mailed it to Seal Press, without an agent or a personal contact there. I share that because I think it is encouraging news. It's great to have an agent, and to be able to drop someone's name when you're writing to an editor. But if the idea's good, and the publishing house is paying attention, you don't need those things. Don't let that stop you from putting yourself out there if you feel inspired. What's so interesting about your book is the slant it takes--that divorce is not the end of the world, but often a beginning to a richer and fuller life with greater possibilities. Divorce, in fact, can be liberating, as anyone with a miserable ex can attest to. Did anything about any of these essays surprise you as you were collecting them? Has any reader response surprised you? My sense is that the truth has been out there--that I'm just shining a light on it. If we all stopped defining divorce as one of life's great tragedies, I think it would be a lot less difficult to go through that process. We do have to grieve the loss of a dream, and accept the scrapped plan. We have to say, "I thought I was going to do that. But it ended up being this." Scary stuff! But embracing that having an intention doesn't guarantee its execution is one of the great life lessons of all time. We are not in control. Learning that makes us wiser, more surrendered, more able to flow with what life has in store for us. My big happy surprise is that what I thought would make me happy ultimately did not. And I am now in a position of savoring a greater happiness than I ever imagined was possible. If that's the result of my scrapped plan, I'm not only okay with that, I'm deeply grateful and humbled. To be honest, the only thing that surprised me (very gratifyingly, I might add) as an editor was how much my instinct had been on target. My call for submissions got a huge and very varied response. It felt like I stood on top of the mountaintop and shouted, "Am I alone here?" and instantly, all of these women were thundering towards me with their essays in hand, shouting, "No, you're not! Choose me!" I love how varied the stories are. The book includes a woman who left a polygamous Mormon relationship to strike out on her own...a woman who left her French husband and Paris both...a woman who left her bland Bay Area marriage to her best guy friend, and ended up falling in love with a Finnish woman via the internet. They now live in Finland, and are married with twins. And then there are the quiet, non-spectacularly framed stories that contain a lot of really insightful and trenchant interiority. I felt so lucky to read all of these stories, because each one had a bit of healing medicine to it. I benefited from that. I think I must have read each essay at least ten times, and there are still essays that make me completely choked up, or make me cackle, every single time. If I had not had the idea to put this book together, if I had not read the essays, I would be in a different place--back there a bit. I don't think I would have transcended the experience of divorce quite as much. It accelerated the pace of my healing and my thriving. How do you juggle work/writing/family life? My life is rich. It is so much richer than it used to be. I'm starting to think that inadequacy is a bugbear that follows us, if we let it, both when we are doing 10% of what we're supposed to be doing, and 110% of what we're supposed to be doing. I am lucky, though--my partner Laura and I have a very fruitful symbiotic relationship. You know how in a relationship, one person is often the giver and one is the taker? Well, Laura and I are both the givers, and I have to say that it's a delight to experience a relationship that is so rich in giving. I don't feel tapped out, because everything comes back to me times two. She scrutinized every page of the manuscript four or five times, has done piles of my children's laundry, is the first person I want to tell any news, good, bad, or innocuous. She has been so supportive over the last year. I know that I could have done this all without her, but I wouldn't have had as much fun or done as good of a job. I juggle it all with the help of two extra hands--hers. What are you working on now--and why? Doing this anthology has been so much fun. So, I want to do another one. I love the feeling of weaving together a series of stories, making them cohesive, preserving their voices. I love nudging writers to go a little farther here, pull back there. I get to be therapist, mother hen, polisher of brilliant passages and ruthless executioner of flabby paragraphs. On top of that, the vibe of the Ask Me About My Divorce bunch has been very slumber party, very sorority (in a good way). I wasn't the type to rush a sorority in college--I was more into hanging out with the pensive, smoking, literary, black-clad types, so I feel like I got a second chance to be in an all-girls society of very chummy, supportive, warm women--the Sisterhood of the Big D, aka, Delta (which is the symbol for change in math and physics, incidentally). So, I want to do another all-women anthology, and I have the topic, but it's something I'd like to keep it under wraps for now. When I do unveil it, I will update you, I promise. I also want to write a full-length memoir. I can't say that I've had a dull life--it's been both comically and tragically interesting so far—and for a writer, that's a gift. First, the bad news. Times are sort of soul-killing, at least financially, and every time something great freelance comes my way, I feel the need to grab it, because I want to fill up our depleted accounts. I had one offer of what seemed a fabulous job--blogging about books and all things literary for a literary site at a decent rate of pay. The guy running the show liked me, we bonded, and all seemed a go until there was "one last thing I needed to do"and to please click this link. Guess what it was? PAY HIM. Put my credit card on the line and pay for the privilege of working. I said, "You've got to be kidding," and that was that. Fast forward two days. Another good gig. Manuscript consulting, (I do developmental editing for other people's novels) which I d love. Lots of work, reputable company, nice owner. Yes, they can use me. The catch? $200 to join the pool of editors. Please tell me this is not a new trend. So grousing is over. The good news is that after months of yin-yanging from one novel to the other, and hundreds of pages on each, I have cracked the first chapter of the novel I have decided to do first. I think it works. I keep staring at it in wonder. I'm a little afraid to venture into chapter two for fear the magic will dissipate. But what an amazing feeling. It seems alive to me. The voice feels real. And there is some mystery. Writing takes its own sweet time to reveal things to you, and sometimes it happens when you have given up trying so hard. I have my first ad! From Wu Travel. (See banner on the left.) Of course, this makes me ache to go see Vietnam and Thailand. When I was younger – as a girl growing up on Long Island, and later as a young woman living in New York City – I subsisted on bagels with cream cheese, cheap beer and cigarettes. Exercise meant forcing myself to the gym and hanging out on a workout machine for twenty minutes before heading home to my studio apartment to put up a box of pasta. It was thrilling to be bar hopping in the Lower East Side at 4 am, but I could have done without the morning after hangover and feelings of emptiness. Not to mention the too tight jeans. I hit bottom at age 29. I was depressed, 40 pounds overweight, and newly unemployed. Some mornings, I couldn’t get out of bed. I had dreams though – crazy-sounding dreams for my life: I wanted to write, I wanted to practice and teach yoga; I wanted to, one day, become a mother. More than anything, I wanted to learn how to wake up happy. Sometimes when we’re most desperate, that’s when the answers come. I started paying attention – to the yoga philosophy my teachers mentioned in class; to the connections between what I ate and how I felt the next day; to how great it felt to take a walk whether through nature or down city sidewalks. Fast forward through a year of walking everyday, eating more fruits and vegetables and whole grains and lentils and much less of everything else, and cutting out drinking and smoking – not to mention dysfunctional relationships – I’d lost 40 pounds, had my first piece of writing published, and started teaching yoga. In the eight years since, my far-fetched dreams have somehow come true. I’m a writer, a yogi, and a new mom. 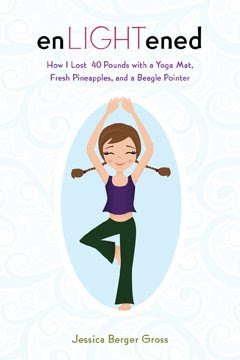 In my book enLIGHTened: How I Lost 40 Pounds with a Yoga Mat, Fresh Pineapples, and a Beagle Pointer (Skyhorse, May 2009) I share my story, along with the lessons I learned from yoga philosophy – and some of my most inspiring healthy living friends and teachers. enLIGHTened is both a memoir and a conscious-living and eating guide complete with yoga poses and philosophy, simple vegetarian recipes, and suggestions for conscious living, eating and moving. There is something about Bellevue hospital. One of the most famous hospitals in the world, Bellevue shares doctors with NYU Medical Center, (some of whom treated me when I was so sick years ago) and has a certain indelible mystique. 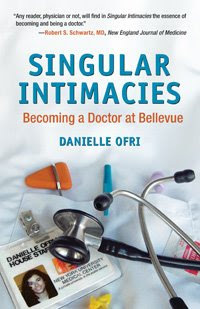 Now in paperback, Singular Intimacies is an astonishing look at what it really means to be both doctor and patient. Publishers Weekly raved that it is a "powerful collection, tied together by the struggle of a clearly gifted physician to master the complexities of healing" and Jerome Groopman aptly categorized the book as the place where "science and soul meet." Danielle graciously agreed to let me pepper her with questions. I have had experiences with doctors who steel themselves from caring too much about their patients or getting too involved because they feel they can be more effective that way, and because otherwise, it can be too emotionally challenging. (I've since changed doctors!) Yet, writing is anything but detached and to tell a really important story about a patient requires really knowing the patient and allowing yourself to really open up to your own emotions. Your chairman began the requirement that all third year internal medicine students write 1,000 word essays about patients, which I think is wonderful. During the outpatient medical rotation, you ask your students, in lieu of one of their standard patient write-ups to hand in a narrative write-up that simply tells the patient's story in their own words. Do they initially balk, especially given their workload? Do you find students are often transformed or surprised by what emerges? The standard "medical writeup" (also know as "the history and physical") is a formal document that describes the patient's illness in preset categories. When students learn how to write these, they learn the particular language of medicine (the patient admits to having chest pain, the patient denies chest pain, etc.) Not only is this language very stilted, it also casts the patient's experience of illness in a very subjective, even suspicious light. This is contrasted sharply with the "factual" language that is used when the doctor examines the patient or performs diagnostic tests ( a rash was noted, a murmur was appreciated, the EKG showed...). When I ask my students to do a narrative write-up, I tell them to eschew the structure and language of the standard H&P and to simply tell the patient's story. Initially, they are quite baffled because the assignment is so open-ended. They've worked hard to acquire this argot of doctoring and now I'm asking them to simply toss it aside. But I give the some tips. For a patient with diabetes, they may simply ask, "What is it like to have diabetes?" This straightforward question can reveal an enormous divide between how we physicians view diabetes ( a pancreatic disorder of insulin regulation that is associated with extensive renal, vascular, cardiac, retinal and metabolic complications ) and how a patient might view diabetes ( a pain-in-the-neck illness that requires shots or pills that cause diarrhea and impotence, a tasteless diet that means giving up everything I like, my doctor haranguing me to lose weight, etc.). Almost without fail, the students are amazed at how easy it is to write the patient's story, and how much they learn about their patient--information that they probably never would have had the opportunity to know. Many students comment that they've gotten to know the subject of their narrative write-up better than an other patient in their entire medical school career. Occasionally, this has important diagnostic and therapeutic implications. There was a young woman whose asthma was exacerbated by their dog. But she wouldn't get rid of it because she knew that her boyfriend would be crushed. For balanced POV, the students interviewed the boyfriend, who felt terrible about the asthma, but commented ruefully that they could ever get rid of the dog because the girlfriend would be crushed. The medical student was able to bring these two opinions to the forefront and the couple agreed to give the dog to a friend. The asthma immediately improved. Your essays about becoming an intern and a doctor are eloquent, intelligent and gorgeous. What prompted you to begin writing about your experiences through medical training? And when did you (and do you) find time to write? I didn't start out planning to write a book or even planning to write. But after a full decade of medical training at Bellevue, I needed some time away. 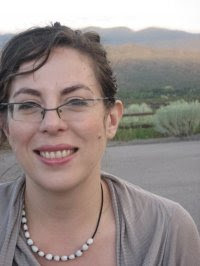 I took on some short-term temporary doctoring jobs around the country, and in between assignments, I'd travel in Latin America for as long as my money would last. It was during this period that I finally had some time to breathe and to think. I started writing down these stories, these one-of-a-kind experiences. The act of writing and revising and editing gave me the opportunity to really consider all that had transpired during my medical training. I then started taking some writing courses and worked on these essays that eventually formed the book Singular Intimacies. As to finding the time to write, this is always a challenge. When I was first hired by Bellevue as an attending physician, there was an economic crisis, and the only job available was a three-day-per week job. Working part-time was not something I ever planned to do, but it was the only thing available. I began to use the other two days for writing. When the full time job became available, I turned it down. To this day, I spend only three days each week in the hospital. I try to keep my other days for writing only, but they now have to encompass editing the Bellevue Literary Review as well as cello lessons. What I loved about your book was how you humanized the medical profession and gave a gritty, heart-scorching look at what happens in medical training. Given your experience, do you think the way doctors are made should change, and if so how? So much of medical training occurs in a maelstrom, and there is very little time for contemplation. It would help to have a little bit of space to consider the effects of the tectonic transformations that are occurring. This is why I try to hand out a poem at the end of rounds, if possible. A few minutes to consider a metaphor or a poetic image hopefully allows the mind and the spirit space for a thoughtful sigh. I'm writing a new book entited Medicine in Translation: Journeys with My Patients, to be published by Beacon Press in early 2010 This book focuses on my patients who are immigrants. Illness itself is a sort of immigration--from the land of the healthy to the land of the sick. I'm interested in the many types of journeys that my patients have take. What is the Bellevue Literary Review, and why does a city hospital host a literary magazine? When we started having medical students write patients' stories, we thought about creating a student journal for these writings Then we realized that there was a larger audience for creative writing that deals with issues of health, healing, illness and disease. The Bellevue Literary Review was created in 2002 as an outlet for fiction, poetry and nonficton on these themes. As the nation's oldest public hospital, Bellevue Hospital has been home to early three centuries of stories that run the full gamut of the human experience, and somehow feels like a perfectly natural place for a creative tribute to this history. Published twice yearly, The BLR hosts an annual literary competition. The biannual readings are free and open to the public. The next reading is Sunday, May 3rd, 2009. Wanda Jewell's fabulous free book stimulus plan! Wanda Jewell has a problem. After serving nearly 20 years as executive director of the Southern Independent Booksellers Alliance (SIBA), she is overrun with books. All kinds of books: finished copies and galleys, paperbacks and hardbound, limited editions, signed, personalized, and more. Each publishing season brings more. So how will she weed her collection and support her southern indie bookstore at the same time? Wanda created her own FREE BOOK STIMULUS PLAN. Books can be purchased anywhere, but when you buy at an indie store, you don't just stimulate your reading, you stimulate the local economy. Shopping local is an investment in your neighborhood and good karma all around. And you get a free book! Completed form and receipt must be mailed to Free Book, 3806 Yale Ave, Columbia, SC 29205 and only while supplies last. All that Wanda asks is that you pass this on. Post it to your blog, pay it forward, print it, shout it out, Tweet and Facebook about it. What a great way to increase your karmic footprint! Welcome to the strange, raunchy and savagely funny world of Sara Barron. In People are Unappealing, she riffs on everything from waitressing meltdowns at the Olive Garden to dirty dancing on the bar top of New York City’s notorious Coyote Ugly. Barron’s gimlet eye seeks out the most appallingly strange situations, which also just happen to be the most hilarious. Trust me, this is one book—and one writer—you don’t want to miss. What's so interesting about Sara is..well, Sara. While her therapist thinks she has "a crippling amount of self-absorption", it's clear she isn't self-absorbed to the point of not noticing the foibles of everyone else. "I don't hate humanity as a whole," Sara says. "Just in parts. 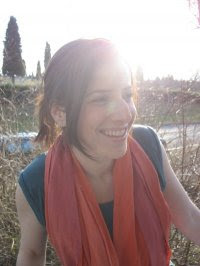 I'm a big fan of well-mannered construction workers, good tippers, babies, and Christmas tree farmers, but the good people just aren't as fun to write about"
People are Unappealing came about because of the solo show she was doing, and the lucky appearance of a literary agent who told Sara this could be a book. But writing her second collection has its problems. Says Sara, " I'm going to try to buy a second computer just for book writing that won't have access to Facebook. Honestly, I feel like People are Unappealing would've taken half the time to write or been three times as long if I didn't spend upwards of two hours a day checking the "pages" of every ex-boyfriend or high school nemesis. " What's next? Says Sara, "I'm working on another collection, tentatively titled, PEOPLE ARE JERKS, focusing on sing-a-longs, Facebook and hand sanitizer. And I just want everyone writing to remember, that when it comes to humor writing, remember: economy. of. words. Also, the funniest word goes at the end of the sentence." Go read the book. When I was reading the book, I was laughing so hard on the subway that people got up to sit at the other end of the car. Jennifer Gooch Hummer, who began as my student at UCLA and ended up as my friend, just told me that her novel APRON (a novel I love) was selected by Amazon as one of the top 100 in the Amazon Breaththrough Novel Awards. Now Penguin editors are going to go through the manuscripts and choose the top three. Hey. I know who I would choose. I took off this afternoon to have lunch with a brilliant writer and wonderful friend. She knew the problems I had been having and said, "So tell me about these novels." I launched into a long discussion about the first one and she said casually, "Now this is interesting. I didn't tell you to tell me about the first novel, just these novels, but you chose to talk about the first one. This is telling--your heart is in this one right now." Something sparked in me and I knew she was right. I just felt it. Then as I was talking about the problem of moving these characters 20 years into the future,a plot point that had me stymied, she calmly ate her pasta and said, "So, why do you have to do that? Why can't you keep the story in the present moment? It sounds as if you are trying to do what you did in Breathe and you really don't need to for this particular story. It's rich enough to be in one contained time period." Instantly, there was another internal shock. Fireworks, really. That one comment solved my major problems, focused the novel and gave me the voice. I cannot tell you how freeing this was. How jazzed I am. How brimming with gratitude. Sometimes when you are so deep in the writing forest, not only do you not see the trees, you don't even see the forest. And if you are very lucky, you have a loving friend with a powerful flashlight and an excellent sense of direction. I think I have had it. Jeff's AOL began sending all his new mail into his old mail so he is now off. And I noticed that about half of the important mail I have been sending out--to agent, editor and to friends, including one long impassioned email to a friend who felt neglected--never got there. So I am now a gmail gal. (I have hotmail, too.) I'll gradually tell everyone and I'll still keep AOL to catch the ones that get away, but already I feel better. There is no worse feeling than sending mail and wondering if it has been received or not. (And usually it NOT.) Plus, I now get to have an official sounding email address with my name-- Isn't that spiffy?Easy to remember? Theleav was given to me by my husband when AOL first began and email was brand, shiny new and everyone was making up names like goddessearth@aol.com or biglard@aol.com. Ok, I cannot torment myself any further by working on two novels side by side. One has to take precedence, so I am going to work ferociously hard on the first two or three chapters of each and then show it to some writer friends and see which one, at this point in time, seems more alive. I love them both, but I need to be able to hunker down and work through the problems of just one. Sigh. anyone got any magic potions for me? I seem to be torn between two novels and have no idea what to do. I have about 150 pages on both. I want to do both--I will do both, but I have no idea which one to do first. Both ideas are compelling to me, but as I work on one, I start to have my usual "what the hell am I doing" moment, and then I shift to the other. And back again. But I worry, does this shifting mean that I am not immersing myself deeply enough into the characters? Is it okay to be waffling like this back and forth as long as I am writing? Clea Simon just told me to keep writing, that the novel will reveal itself to me, but I cannot get either one into any sort of line and I am baffled what to do. Do others write two novels at once? I wonder if this is an outgrowth of my also writing scripts as I write my novels--a frustrating new ability. How do you ever choose???? Both sets of pages are far too messy to show anyone, so I don't even have that option yet. Should I show people I trust two synopsis and ask which one sounds most compelling at this moment? Or should I just keep writing and see what happens? Boy, I leave Malibu Barbie alone for three days and look what happens! Bullwinkle moves in! We came home to more mail than any person could possible go through in a year, way too many emails (I was so exhausted going through it, I accidentally deleted 154 Spam messages, and not all of them were about enlarging parts of my anatomy, either.) I am aching to work on my novel, and I just remembered that today is Good Friday which means it will be blessedly quiet. We bought this airbed to take to my mother's because her beds are really uncomfortable, but this airbed was even worse! For some reason, it was freezing cold and we had to layer a blanket on the bottom, which didn't help much. It also kept losing air so it felt like a waterbed, which was odd and unsettling. I wanted to marry our bed when we came home and I saw it. Ok, so I am still tired and cranky. Anyone know any jokes? I'm starting a new book project. And for part of it, I need your help. Ask yourself this: Did you and your spouse meet in one of New York's celebrated public places? Did you speak your first words to each other at Central Park, the Met, the Subway, Grand Central, Rockefeller Center, Prospect Park, the New York Public Library, the Brooklyn Bridge? Then ask yourself this: Were the two of you totally different? Was she, say, a bond trader, and he, a bike messenger? Was he a Brazilian ballet dancer and she, a Latvian librarian? Was a tourist map the only thing you had in common, because he was from Denmark, and you, from Djibouti? Or, like my own parents, was he a son of hard-luck Kurds from northern Iraq, and she, the daughter of a Manhattan businessman?=2 0That is, were you from such wholly different backgrounds that – were it not for that chance encounter – you almost certainly would never have met? If this sounds anything like your story, I would very much like to hear from you. I am looking for a massively diverse group. Differences in age, race, nationality, creed and orientation are encouraged. You need not still live in New York. You need not ever have lived there. What matters is that you first locked eyes there, in one of its great public places. If you know couples like this – your kid sister, your grandparents, that guy at work, anyone – please ask them to email me at ourstory@nylovestories.com. Or send them to www.nylovestories.com. Thank you. Please mail me at: ourstory@nylovestories.com. Bye! See you next Friday! We're off. That's Malibu Barbie waving goodbye in the photo and she isn't coming with us. Instead, Malibu Barbie is going to guard the house and look fabulous and work on her tan even though I warned her repeatedly that it is bad for her skin, but she never listens to me. We're going to Boston and returning late Thursday. 1. I have to hunker down with the new novel beloved agent wants to see (are there more beautiful words than that? But I don't feel any where near ready to show any pages yet). 2. I need to begin teaching an intensive Novel V class. 3. I have to worry over a new script. 4. I have juggle freelance jobs and always try to find more. 5. I have to try not to panic about what we owe income tax and why our money is just sitting in the bank earning just about no interest because the market is a crap shoot right now. On a brighter note, today is National Chocolate Mousse Day. Carole Parker is astonishingly great screenwriter, a hard-boiled dame who is also one of my email lifelines during the day. As we both are slogging through our work, we must send at least ten emails every day, just touching base, cheering each other on, and offering help. Anyway, Carole has this fantastic blog which lets you into the mind of a working screenwriting. Go take a look! My friend Ken is a smart, funny, and brilliant photographer and filmmaker and I think everyone should check out his film. I've even provided the link--and one fo rhte companion book, too. Part surf film, part crime drama, part romantic comedy, it's an exploration of life and culture on Santa Barbara Ventura coastline. Backed by the beat of The Indignitaries, Mondo Domingo and more. I am tired, happy, and so thrilled. I finished the second set of revisions from my editor and just sent them off. I love my editor, love my publishing house, love my agent. But sending these things off has made me homesick for the novel. I miss being in the thick of the characters, and when I got to the last pages I was crying--not just for the story, but because I realized I had to let them go. Lucky for me, I started something else and am deep into that, so I have a new set of people to start to worry about, fuss over, and love.